It makes all the difference in your Michigan excavating and landscaping projects. For more than 50 years, Cook Brothers Excavating, Inc. has been proud to provide excavating services for many satisfied Mid- Michigan Customers. 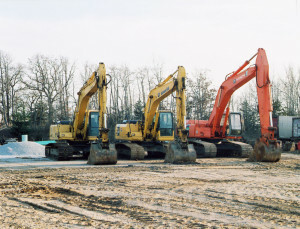 Cook Brothers Excavating, Inc. serves many of the area: Commercial, Residential, Agricultural, Industrial, and Municipal Builders and Sub-contractors as well as the General Public. You can count on Cook Brothers Excavating, Inc. for quality service, affordable pricing and customer satisfaction. Please include the excavating service or landscape products you are interested in. A staff member who specializes in the specific landscape product or excavating service you need will contact you. If you are not sure what landscape product or excavating service will serve your needs, please give us a call and we can help answer your landscaping and excavating questions. Do you have questions about excavating services or landscape product options? Call us today. Cook Brothers Excavating in Portland Michigan serves the entire mid-Michigan area as well as much of West Michigan. Copyright © 2019. Cook Brothers Excavating. All rights reserved.